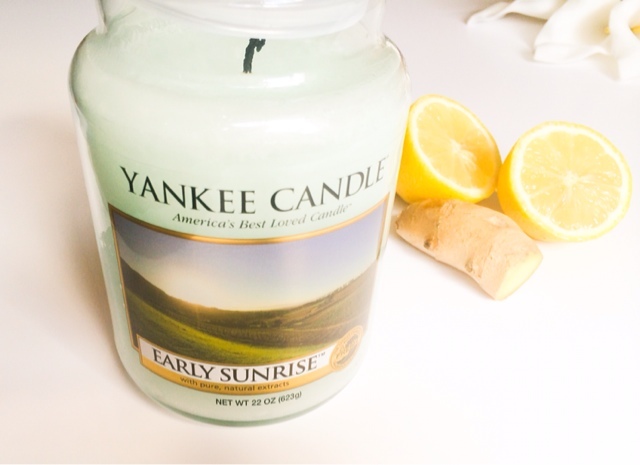 The 'Early Sunrise' candle has found it's way into my life and into the Special Appearances section of the Yankee Candle website. This scent is not my usual choice, containing pure extracts of Lemon, Ginger and Tea, ingredients on their own that don't wow me or woo me to buy, but this candle has quickly become one of my favourites. When smelt unlit the aroma is very lemony and I instantly thought of household cleaner, not a smell I really like to be honest! But when lit the scent changes dramatically. The warmth of the ginger cuts through and completely changes and softens the initial lemon fragrance. It smells fresh, but spicy and warm and reminds me more of a Margarita than of the initial household cleanser that I first smelt. The fragrance doesn't seem to have as much throw as some Yankee Candles I've tried but I actually think I prefer that as this just seems to freshen the room in a understated way and is not overpowering at all. Think of the scent as a palate cleanser, a fresh sorbet you have in between meals to help neutralise and remove any unwanted flavours. This is that in candle form! Does this scent appeal to you? 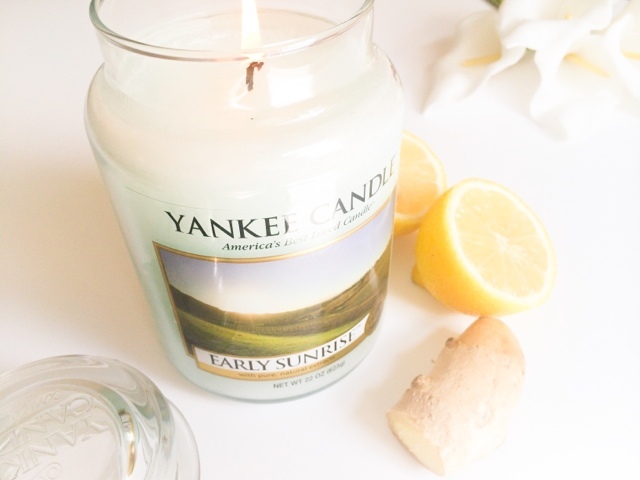 What's your favourite Yankee Candle scent? My fave Yankee candle is the black coconut scent, super yummy!